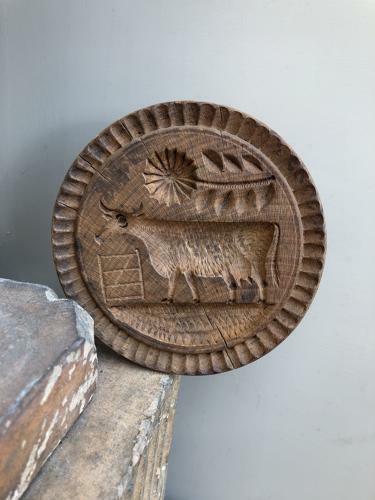 Large 5" Victorian Carved Treen Butter Stamp. Cow by a gate with an unusual flower above. Primitive in form...very folk arty. Great size.